Before I totally let go of 2011, I wanted to share the five fragrances that left a lasting impression on me. Liz Zorn’s Rivertown Road continues to amaze me. It’s complex and unlike anything I experienced. At a recent holiday gathering at my home, I let a fellow fragrance lover experience it and he could only sum it up as incredible. He also asked where he could buy it. 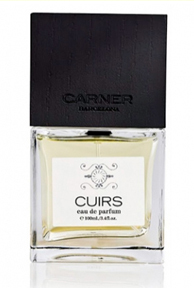 I discovered Carner Barcelona’s Cuirs at the Elements Showcase and have been singing its praise ever since. It shouts leather and commands a presence. It deserves its own theme song a la Shaft. Team Odin continued its fragrant expansion in 2011. Its fifth scent, 06 Amanu was one of my go to scents this summer. It’s crisp opening is so fresh but it stays with you and gets better as it wears and that’s what sold me on this one. 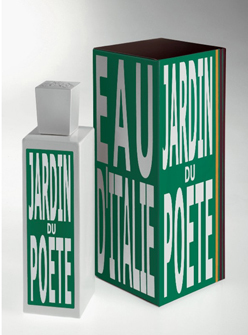 Jardin du Poete was added to Eau d’Italie’s collection in 2011 and I wouldn’t be surprised if it becomes one of its best sellers. With top notes of bitter orange and grapefruit, it’s bright and earthy and holds its freshness all day. Last and certainly not least, Penhaligon’s Juniper Sling is the quiet sleeper of 2011. Inspired by London Dry Gin, it equal parts warm and sweet while possessing the right amount of booze to keep it playful. It’s a great example of brand staying true to its heritage while being modern. It’s the scent of a well-groomed man. For a few more lists of best of 2011, check out Persolaise, Olfactoria’s Travels and Eyeliner On a Cat. This entry was posted in Uncategorized and tagged 06 Amanu, best mens cologne, Best of 2011, Carner Barcelona, Cuirs, Eau D'Italie, Jardin du Poete, Juniper Sling, Liz Zorn Perfumes, men's cologne, Men's Fragrances, mens cologne review, mens top fragrances, Odin New York, Penhaligon's, Rivertown Road, Year in Review. Bookmark the permalink. 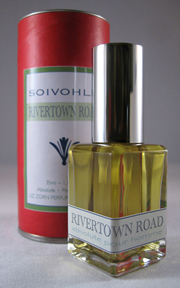 The only one I’ve tried from your list is Rivertown Road, and I agree, it’s amazing. Juniper Sling and Amanu have been on my list to try as well. Wonderful choices. I’m contemplating a bottle of Cuirs. It hit all the right spots for me. I like Odin Sunda and Petrana very much, so I can’t wait to try the new ones, especially when Amanu makes your list. Now, to be honest, I know only one scent from your list – but that one really hit the mark (and in fact, I’m a big admirer of the whole brand : Penhaligon’s !!!!!!!!!!!!!!!!!!!!!!!!!!!). As you mentioned “staying true to its heritage while being modern” – and I give them the gold medal for that. Juniper Sling was the only one on the list that I had experienced – this list is awesome and compromised 4 of my “must haves”. Yes it’s a man’s fragrance..the kind of confident, quiet, purposeful,kiss you can’t forget man’s fragrance..I wore it until my sample was gone..the feeling lingers on though. Thanks LadyApryle. “Kiss you can’t forget…” I like that.